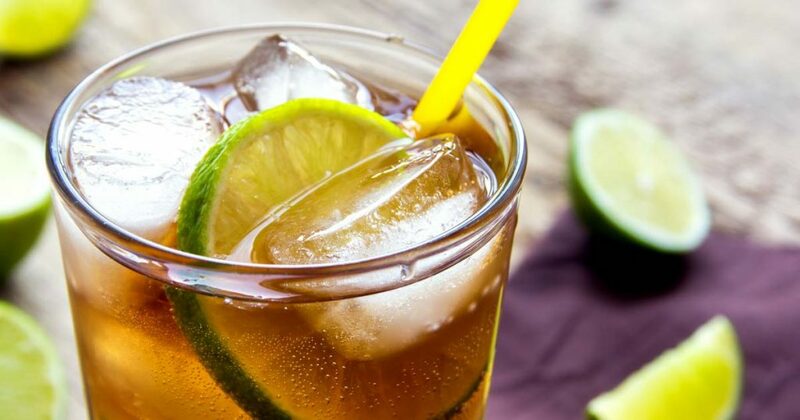 Did you visit Havana and fall in love with the sugary goodness of Cafe Cubano? 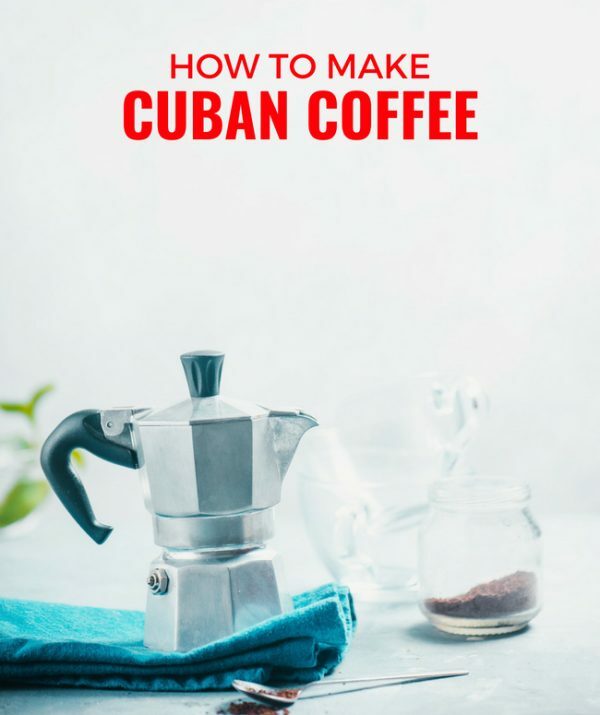 Learn how to make a cafecito with a Moka pot and what makes Cuban coffee so damn good – hint, it’s sugar. I love learning about coffee around the world and I’ve been lucky to have many opportunities. 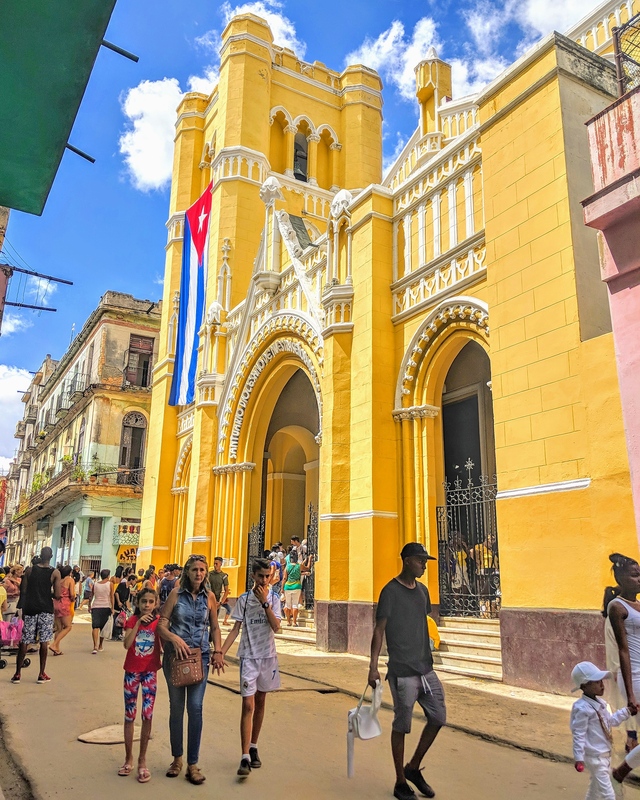 I discovered the crucial skill of how to order coffee in Italy, the obstacles for organic coffee growers in Panama, but making Cuban coffee in Havana was a real test for me. The coffee culture in Cuba is so strong. Like rum, coffee is the centre of everything social. When I rented an apartment in Havana I quickly realized that to live like a local, I needed to learn the language of Cuban coffee. This meant learning how to make a cafecito, known outside the country as a Cafe Cubano. Thankfully I have Cuban friends who offered to show me. You may think this is kind, but really it was self serving for them. Cubans drink a lot of coffee, and anytime a friend drops in it is customary to offer a cafecito…or a bit of rum….or both depending on how long they stay. My friends drop in daily, most often unannounced. 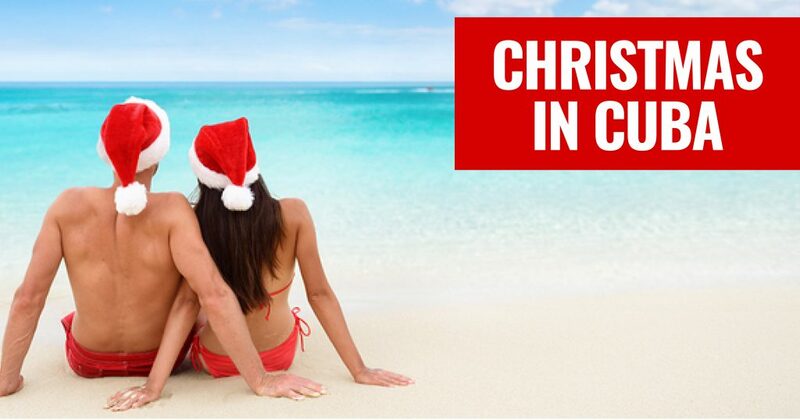 It is a normal part of the Cuban culture to simply pop-in without calling. Sometimes they stay 20 minutes and sometimes it’s two hours. I guess that’s the way it used to be in Canada before the internet made everyone antisocial and afraid to answer their door. What is a Cafe Cubano? Why Do Cubans Care So Much About Coffee? Is Cuban Coffee Stronger Than Regular Coffee? Cuba is a country of immigrants and invaders. But the Cuban cafecito was born when the Italian espresso machines arrived on the island. Today, coffee is made either with an espresso machine or the stove top espresso maker known as cafetera in Cuba or the famous Moka pot in Italy. The cafecito is known by only one name in Cuba. But it is described by many others in the United States. It’s most commonly a cafe Cubano but you’ll also hear it called a Cuban espresso, Cuban shot or a Cuban pull. This isn’t the only difference with Cuban coffee. Outside the country, in Cuban communities in the United States you’ll pay a premium for a fancy Cuban espresso in America. And in Havana hotels tourists pay $2-3 for a cafecito made by an espresso machine. But on the streets in Havana, Cubans are serving cafecitos in homes and cafeterias for as little as four cents, or 1 CUP in moneda nacionale (the local Cuban currency). The true cafe Cubano is a shot of espresso mixed with a bit of demerara sugar beaten so vigorously that it creates a frothy, cream-like espumita, at the top of the cup. Some spots will just keep a warm kettle of coffee for that mid-day shot to get Cubans through the day so don’t expect a frothy top but no matter where you get it, it’s always sweet. Coffee has a complicated history in Cuba, it once had a thriving production and was inexpensive for Cubans. Although many coffee farms struggled and changed to become sugar plantations the local desire for coffee did not decline accordingly. So along with beans and rice, coffee is part of the monthly food ration for Cubans. They receive four ounces of coffee rations per month. Although sadly, this meager amount of Cuban coffee is usually diluted with a local bean called chicharo. 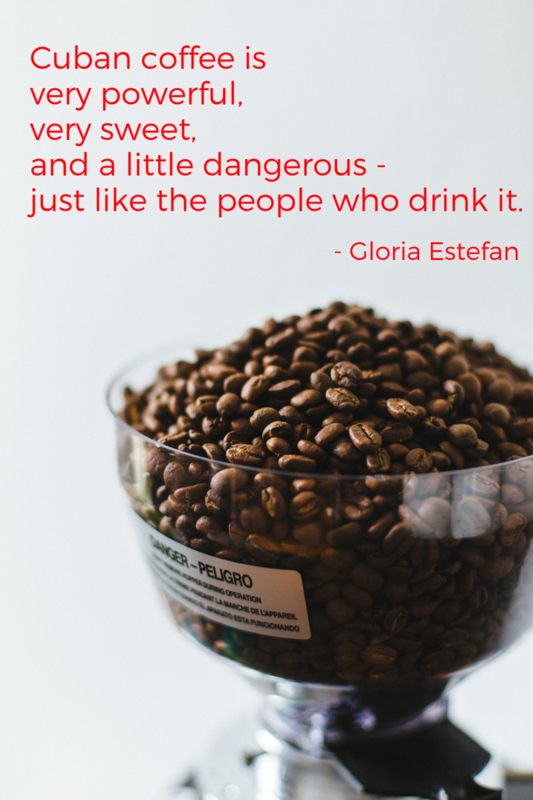 This also happens with coffee in Colombia as the best coffee is exported and it’s a way to stretch the local product without significantly diluting the flavour. But as coffee is so important, Cubans who can afford to buy coffee will mix the rationed coffee with store-bought. But even with a small amount, Cubans have an unparalleled sense of hospitality. No matter what they have, when you enter their house you can bet they’ll offer you a cup. Even if it is their last cup. So, I quickly learned that to truly be hospitable I should offer my friends coffee when they came over. Sometimes I tried to switch it up by using maple syrup instead of sugar to make it Canadian. This worked once or twice, but they prefer the regular Cuban coffee. Traditionally Cuban coffee is dark roasted, similar to what you see in Italy and Spain, which is not my favourite. But I find the sugar really cuts the bitterness. In the mid-1700s the occupying Spanish brought coffee to Cuba, which was reinforced by the French who fled Haiti during the Haitian revolution. At this time most of it was exported to Spain. 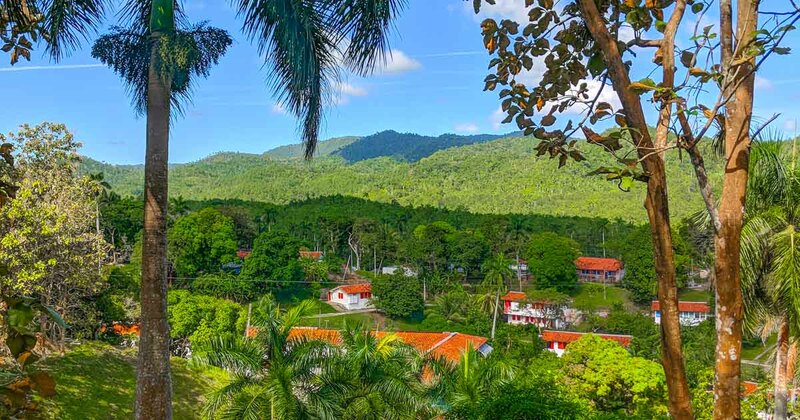 As Cuba is fertile with lots of mountainous regions, coffee plants flourished and the country produced a lot of coffee. But coffee production started its decline when the Cuban revolution nationalized production. Infrastructure and weather continue to be a struggle for Cuban coffee growers. Most coffee in Cuba was exported to the USSR but the fall of the Soviet Union crushed this market. Fortunately in 1996, Barack Obama opened up new dialogue with Cuba and for the first time since the US trade embargo of 1963 the US once again allowed Cuban coffee imports, which was welcomed by the huge market of 1.4 million Cubans living in the United States. Today small farms drive the industry with more emphasis on organic coffee for export in Japan and Europe. 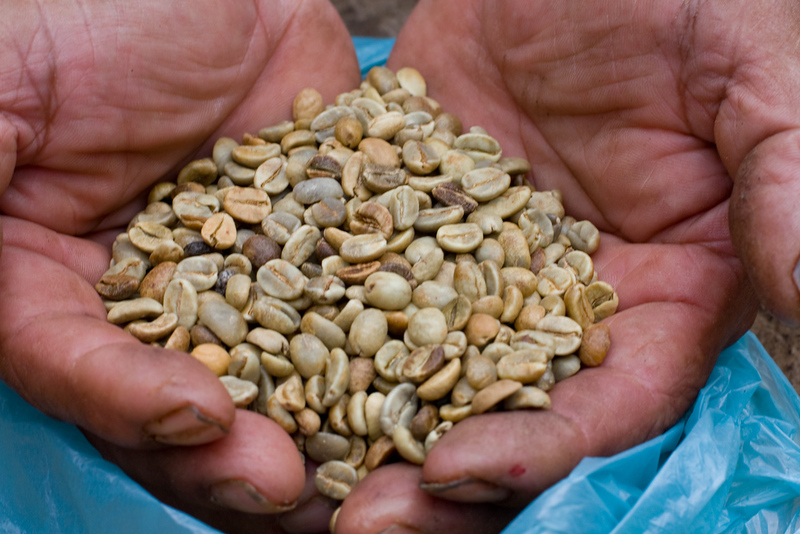 Araabica and Robusta beans aer still handpicked, primarily in the forest canopies of the Sierra Maestro Mountains. You can also find production in Escambray Mountains, the Nipe and Sagua-Baracoa Mountains (eastern Cuba) and Guaniguanico (western Cuba). Espresso tends to have more caffeine per unit than regular the regular Americano coffee. However, the Americano is signficantly larger, thereby usually having much more caffeine overall. A form of espresso, served in a tacita. It is very similar to an Italian pull, but also accompanied by sugar. It is not customary to have milk in regular coffee. If you’re in a restaurant you can ask for milk on the side but be prepared to pay for it. Milk is a tough product to find in Cuba, I personally have only ever seen it powdered, imported from other countries. However, I’ve heard rumours it appears in grocery stores every now and then. If you do order something with milk find out if it’s the real deal or powdered as it will affect the quality of the coffee. It literally translates to coffee with milk, but as it has far more milk than coffee it should be called Leche Con Cafe. Similar to other areas around the world, cafe con leche is a shot of espresso with steamed milk. Milk is a difficult thing to find in Cuba, at least in liquid form. Almost all of it is powdered. It’s traditionally served as a shot of espresso in a tall cup, accompanied by a cup of hot milk to mix yourself with several spoonfuls of sugar. This is almost exclusively a breakfast coffee in Cuba. If you like things sweet, try this Cuban recipe for eggnog called crema de vie. Basically a round of drinks, except it’s Cuban coffee and usually for take-out. You’ll get one large cup of coffee of 4-6 espresso shots, along with smaller empty espresso sized cups that you can pour for your friends. This really speaks to the coffee culture in Cuba, it’s meant to be shared. A bonus 5th way to have coffee in Cuba. Don’t worry, Cubans are well aware that we Yumas like our standard coffee. 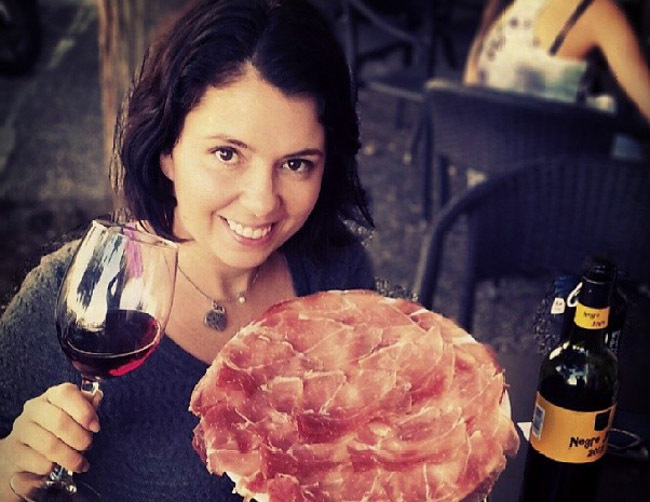 You’ll have no issue getting it in any restaurant or bar that caters to tourists. But hey you’re in Cuba, you should at least try the cafecito first. Cubans have strong opinions on coffee, and I’ve learned friends will tell you when your coffee is good. Yet, the coffee drinking experience in Havana is not like the cafes in Italy. It’s far more common to grab a cafecito at a cafeteria, someone’s window in the neighbourhood who sells it on the side or other little shop from a thermos. There are three sections to any cafeteria. The bottom “boiler” you fill with water to the line. The middle is a metal filter you pack with ground coffee and insert in the bottom part. Do NOT tamp down the coffee. The top “collecting chamber” that screws onto the bottom boiler. Put the CAFFE on the stove and when the water boils up through the coffee and arrives in the top section. When you hear a gurgling sound you know it’s done and you can pour your coffee. Some sites, including the video above say should cook on low and leave the top up when you make coffee, but I have never seen anyone do this. I have only seen the top down and the heat on high to hear the gurgling noise. It’s a great debate and you could try both. However, I do think the video does a great job to show how to make the espuma/foam. Turn on stove to medium-high heat. 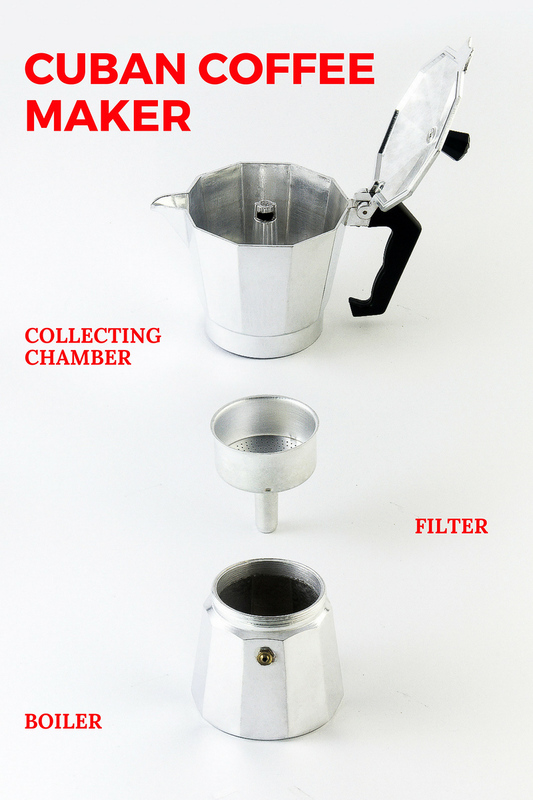 Add water and coffee to a 6 cup Moka pot. Fill the coffee to the brim but do not pack it down. Simple level off with your finger. Place Moka pot on heat. Put 3 tablespoons of sugar in a metal pitcher that is large enough to hold all of the cafecito. When coffee starts to flow into the collecting chamber add a tablespoon of it to the pitcher with sugar. Return Moka pot to heat to continue brewing. Vigorously beat the sugar and coffee together to dissolve coffee and create a creamed sugar, it’s almost frothy. When coffee is done brewing slowly add remaining coffee into the pitcher with creamed sugar and stir to combine. The “crema” should float to the top and the coffee is ready to serve. If you like a really frothy cafecito add more sugar. Tip: If your CAFFE isn’t boiling fast enough just run the bottom under a bit of water and put it back on the stove. I don’t know if this really works but a few people showed me this trick. Wow. So interesting to know that a simple cup of coffee holds so much meaning! Thanks for sharing . Love your perspective!!! I would love to have a Cuban coffee on the streets of Cuba. Local food and great coffee! Very nice. So interesting to know that a simple cup of coffee holds so much meaning! I really enjoyed your article. A couple of things I thought you may like to know 🙂 the bean that you mentioned that is added is called chicharo by my friends. We always joked that I like chicharo coffee better, and they of course thought I was crazy. The other thing is a little more serious. MIlk. As a cuban, you are allowed to have liquid milk until the age of 7. After that, you will only be able to get the powdered milk. This also connects t the reason why if you hit a cow with your car, or kill a cow, you get more jail time than if you kill a person. 1 cow affects many. And the cows are not given anything to make them produce more. SO liquid milk is liquid gold. Thanks so much for adding these two facts, I’m going to add them to the post. I remember complaining once that I couldn’t find milk and my friend said no problem I’ll bring some over. I was so thankful, but then confused because the milk was powdered. Also last January I saw individual packages of yogurt and I only bought 4 – I have NEVER seen them since. This has been a good lesson for me that if I see something I like I have to buy lots of it as I may not see it again. Barack Obama did not end the us trade embargo in 1996 as far I know. He wasn’t president then, but also the trade embargo has never been lifted. During his presidency Obama opened relations but didn’t lift the embargo. Trump has quickly undone almost everything that Obama opened up. Speaking as a US citizen that took a summer class in Cuba.